By clicking ‘Add’ below, you are providing us with explicit consent to use your email address to receive information regarding your orders, product questions and to receive marketing emails on the latest promotions and new products that we offer. You may choose to opt out at any time by unsubscribing at the bottom of any marketing email we send you, or on this Newsletter Maintenance page under the 'Unsubscribe' tab. 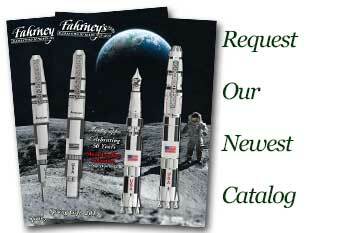 Be the first to know what's going on at Fahrney's Pens! We'll send you email updates about special events, offers and sales happening online and in our stores. Sign up to get the inside scoop on the latest Pens, accessories and hottest specials. ##email## has been unsubscribed from our email list.